Sensei’s Paul and Chris started their Karate training with the Karate Union of Great Britain. They took their gradings under sensei’s Enoeda and Ohta. They remained with the KUGB for many years until 2002 when they changed their affiliation to the TSKA. They felt that the TSKA’s ideals were more in line with the original ethos of traditional Karate, less sports orientated and more of an emphasis on realistic self defence. 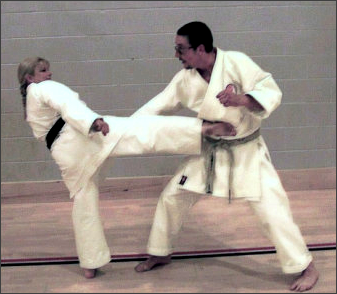 Sensei Paul Mitchell is a 5th Dan in Shotokan Karate as well as a teacher of Yang family Tai Chi in the Wells area.